The hum of the road, the crackle of gravel, the buzz of a dirt fire road on the early morning climb. The journey is wherever you decide to take it. The R35 road wheel is a lightweight carbon road wheel that can accommodate up to a 34mm tire. With the option for a wider tire, your route options change dramatically. Take the long way home on that abandoned highway. Make a detour down a gravel railway corridor. Or, just continue crushing it on the road. The choice is yours. 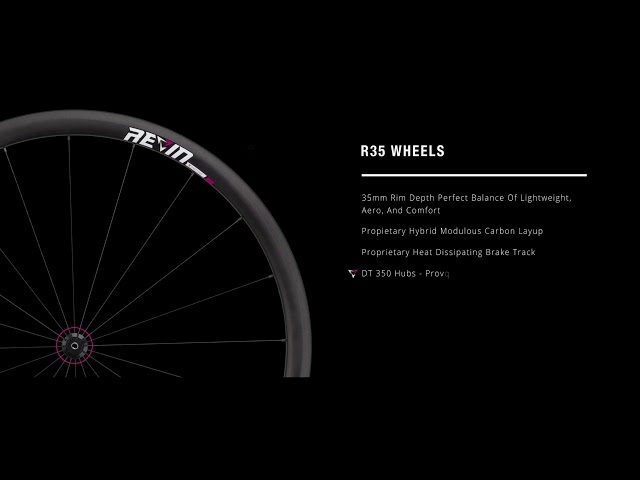 The R35 wheelset sets a new standard in carbon road bike wheel performance. By pairing state-of-the-art carbon rim manufacturing with the exceptional reliability of the DT Swiss 350 hubset, the R35 is a no-compromises wheelset for the road, gravel, and beyond.